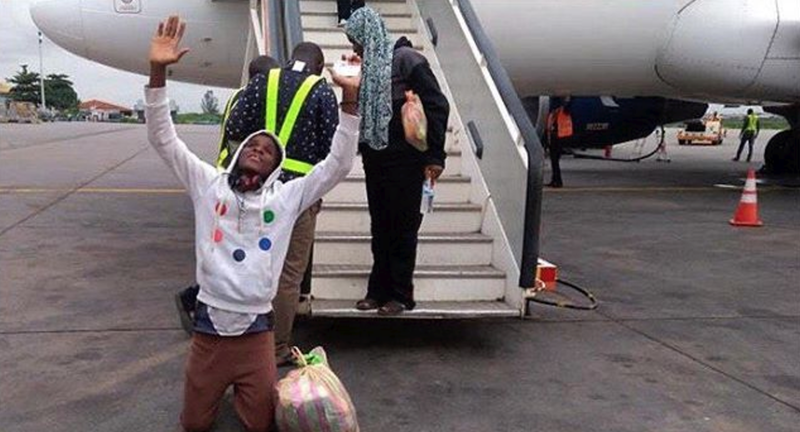 One of the 164 Nigerians who voluntarily returned from Libya could hardly contain his excitement at seeing his fatherland again. He was one of the Nigerians who had embarked on one of the arduous journeys that regularly claim hundreds of lives. In appreciation, the unnamed young man kneels down, with hands raised to heavens, immediately the aircraft that brought him and fellow returnees landed at the Murtala Muhammed International Airport, Lagos State on Thursday.